Pork spareribs slowly simmered until they’re fall-off-the-bone tender; then brushed with an Asian marinade and grilled to perfection. Well, we survived the first few days of back to school with only a few little glitches and are in full swing with school-sports mode here at the Farias household. 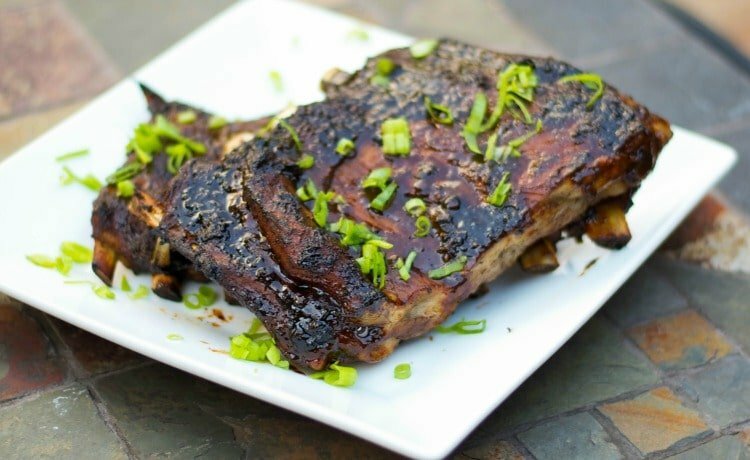 I actually made today’s recipe for Asian Marinated Pork Spareribs about two weeks ago as my kids were dying (well not literally of course) for ribs. I hadn’t made spareribs in a while (May to be exact) and since the end of summer was nearing, it only seemed fitting to make them again. I didn’t want the traditional kind with bbq sauces, so I made this soy sauce based marinade instead. 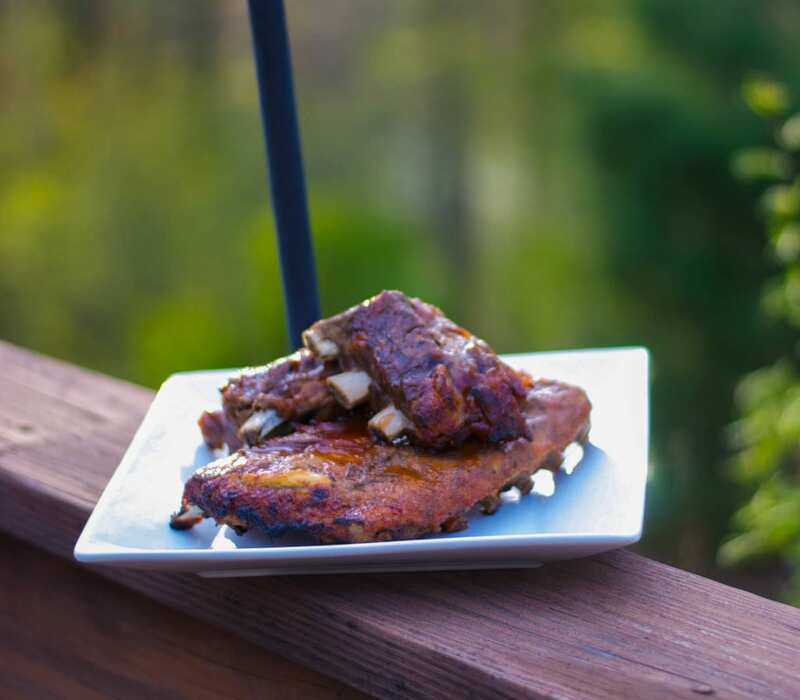 These were delicious and sticky and gooey…all of the things a sparerib should be and the family LOVED them! Pork spareribs slowly simmered until they're fall-off-the-bone tender; then brushed with an Asian Marinade and grilled to perfection. Cut racks in half forming four racks; then place them in a large pot and cover with water. Bring the water to a boil; then reduce heat and simmer for 1 1/2 hours. 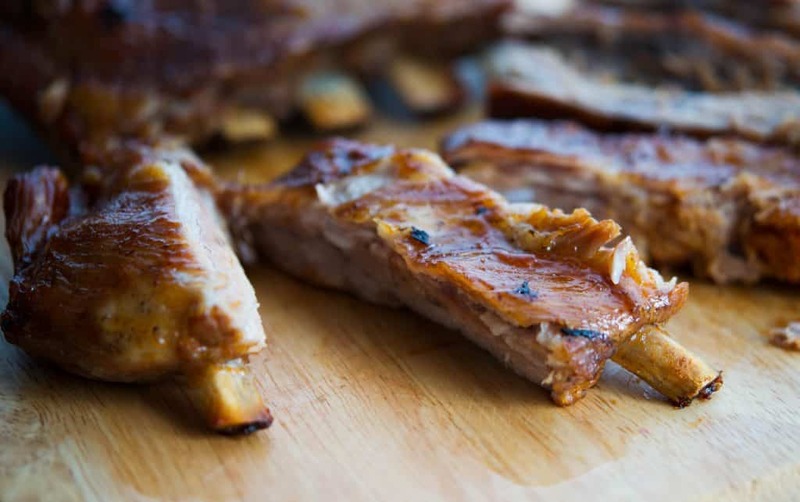 Remove ribs and brush with the prepared marinade; then you can either grill the ribs until they are browned or bake at 425 degrees for 15-20 minutes. Carrie, I love everything about this recipe! 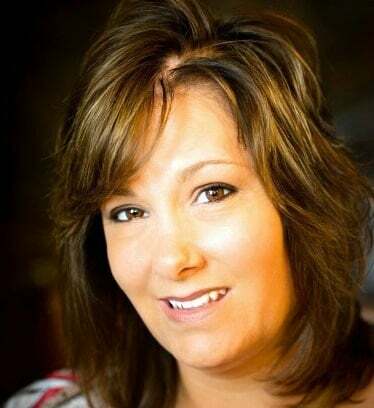 we are too surviving the “back to school” and LOTS of sports…and driver’s ed…yikes! I adore ribs and my boyfriend goes bonkers over them too. 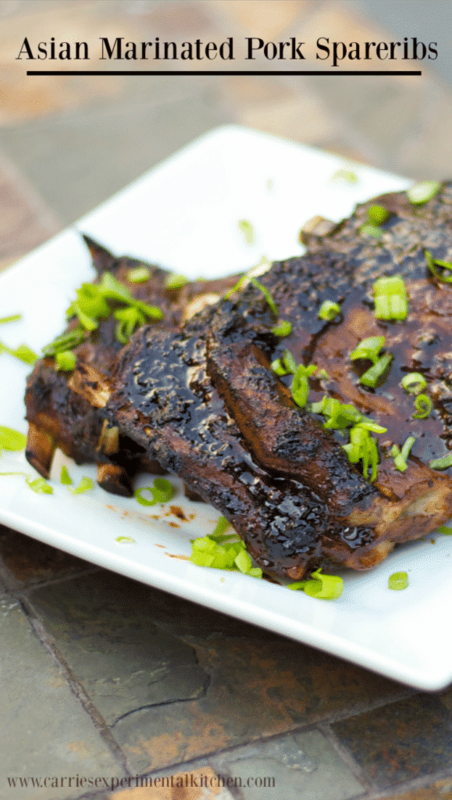 I’ve never tried ribs in a soy marinade and it sounds wonderful! 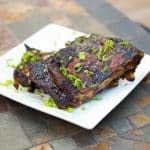 I’m keeping your recipe in mind next time ribs are for dinner!